HELSINKI, FINLAND – May 28, 2014 – Following the recent $3.6 million USD Series A round, Boomlagoon today announced its highly-anticipated second mobile game, Monsu. 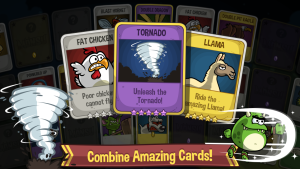 The game is a hybrid of platforming action and the addictive thrill of a collectible card game. Following months of character design and gameplay development, Monsu will feature dozens of characters and a rich storyline. 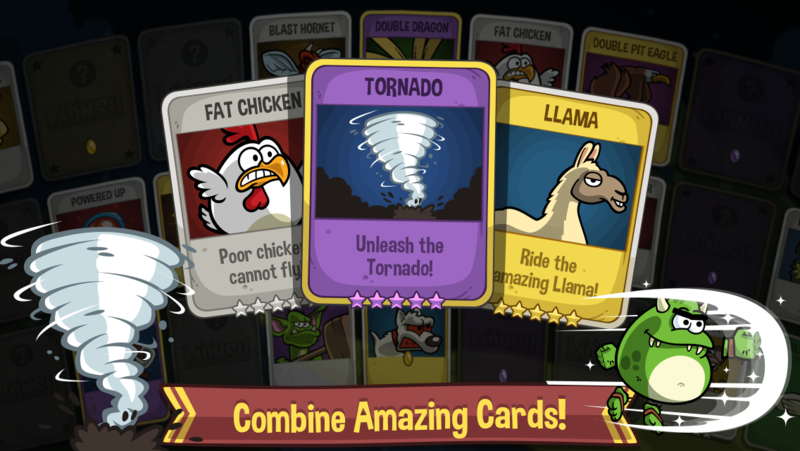 Boomlagoon will launch the side-scrolling collectible card game on the iTunes App Store later this summer. “We’re focused on creating character-driven games that players love, all around the world. With Monsu, we’ve created a platformer that is easy to pick up and play, instantly rewards the gamer, and still provides nearly infinite ways to progress through the environments,” said Antti Stén, CEO of Boomlagoon. In Monsu, players will immerse themselves in a colorful, action-packed journey alongside an ever-growing collection of customizable characters. Determined to retrieve Monsu’s stolen treasure, players will battle their way through never-ending waves of grumpy villagers. Each character features a rich backstory and magical powers that players collect over time to bash, smash and battle their foes. The world of Monsu is vast, and players can explore several territories, including the Woods, Cave, Cemetery, Castle and Village. A highly social game, players will engage in regular online tournaments and missions alongside their friends. “The name Monsu is based on the game’s playful monsters, and the inspiration for the art style comes from the recent resurgence of Hollywood animation. We’ve found that the game appeals to male and female gamers, both young and old alike,” said Tuomas Erikoinen, Chief Creative Officer of Boomlagoon. 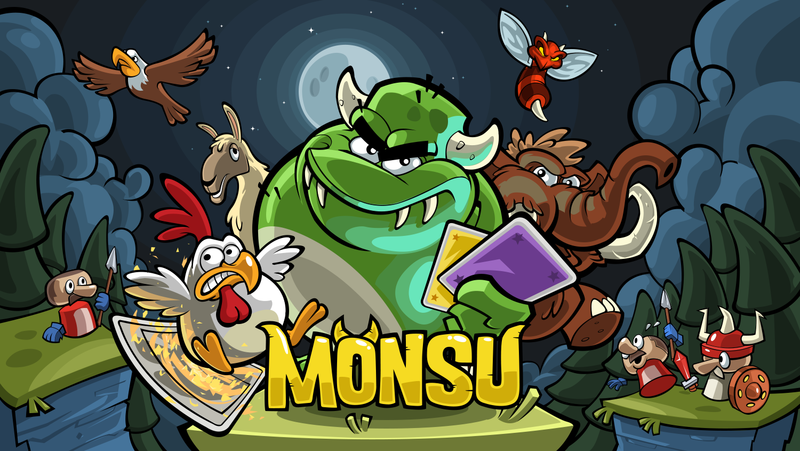 Monsu is coming to iOS later this summer. 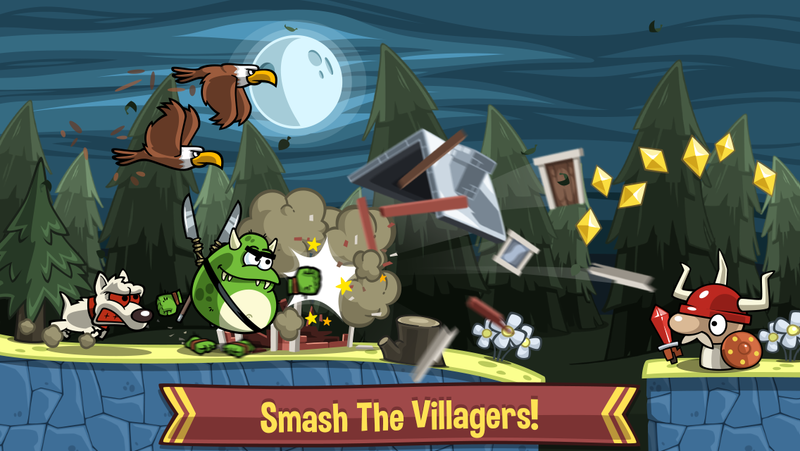 For more information on the game, please visit Boomlagoon.com or download the press kit. Headquartered in Helsinki, Finland, Boomlagoon is a mobile gaming company focused on making high quality Free-to-Play games. Boomlagoon is backed by London Venture Partners, Northzone, Inventure, 360 Capital Partners and Jari Ovaskainen. The studio is comprised of games industry veterans from studios like Rovio (Angry Birds), Digital Chocolate, Valve and Recoil. For more information on Boomlagoon visit www.boomlagoon.com.